A long-running legal battle with California and Massachusetts drivers for Uber has settled with the ride-sharing tech firm paying a $20 million settlement – but no deal to name them as employees versus independent contractors. Los Angeles employee misclassification attorneys know that has many legal analysts opining Uber was the one that actually won big this round. 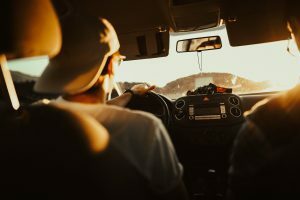 The drivers likely acquiesced to this deal, rather than pushing ahead, after a federal appellate court ruled last September that drivers could not join together for a class action, and would instead be required to individually arbitrate each claim. As TechCrunch.com reported, that diminished a lot of the power plaintiffs in that original case had. As part of the labor and employment lawsuit settlement, Uber has agreed to some other concessions as well. For example, Uber agreed to alter the way it removes drivers from the service, in turn boosting the transparency of the process. In a now-published policy, the tech firm details how it removes drivers from its rosters. The company also plans to institute a means for booted workers to appeal. Drivers will also have the chance to take classes offered by the firm to learn how to improve the quality of rides for customers. A $57,500 settlement was reached in an Orange County gender discrimination lawsuit in which plaintiff, an employee of Irvine Range Water District, alleged she suffered system sexism by her superiors. Although the settlement agreement did not require the employer to concede any wrongdoing, plaintiff’s complaint asserted there was plenty.